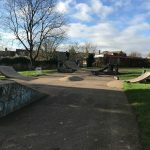 Hebburn skatepark is an all concrete park that can be found in Carr-Ellison Park and is a simple back and forth based course. 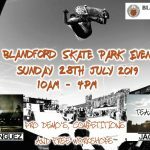 On the back side of the skatepark is a mini ramp, the open side of which leads onto the back of a flat bank. This is the start of the back and forth run and following this is a jump box and the course is completed by a quarter pipe. Along side this run is also a manny pad with an adjoining long hubba. 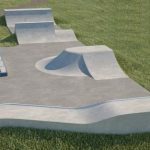 Hebburn skatepark is a fairly simple skatepark however the smooth concrete surfaces make up for it. 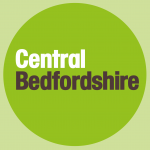 It is a good place for beginners to come and learn the basics however if you are after a more challenging skate try out one of the other skateparks nearby. Hebburn metro station: Exit Hebburn station onto Station Road and head south until it meets Canning Street. Here, cross over into Carr-Ellison Park and walk to the other side where Hebburn skatepark will be in sight. Hebburn bus stop: Exit the bus onto Victoria Row West and take Hall Road south until Carr-Ellison Park. Here, walk to the other side of the park where Hebburn skatepark will be in sight.